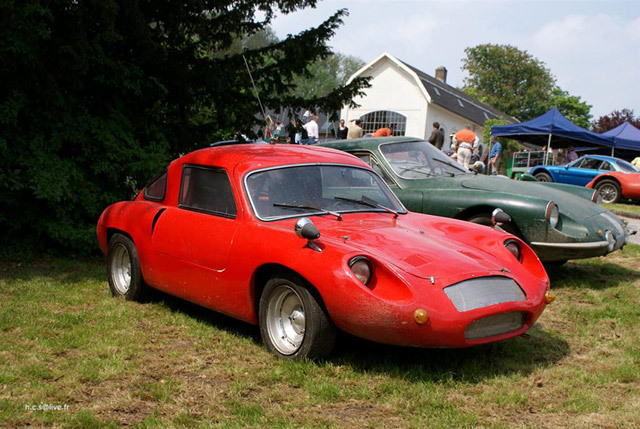 The mechanical world of Jacques Durand began commercially in 1943 with high revving miniature petrol engines that ranged between 0.9cc to 30cc. 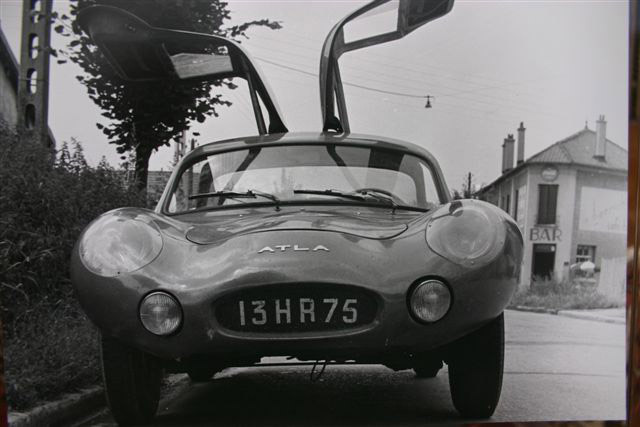 His first car, the Atla, came some-what later in 1957 when a customer and racing driver named Vinatier approached him to do a major repair of his early Alpine A106 Mille Miglia. 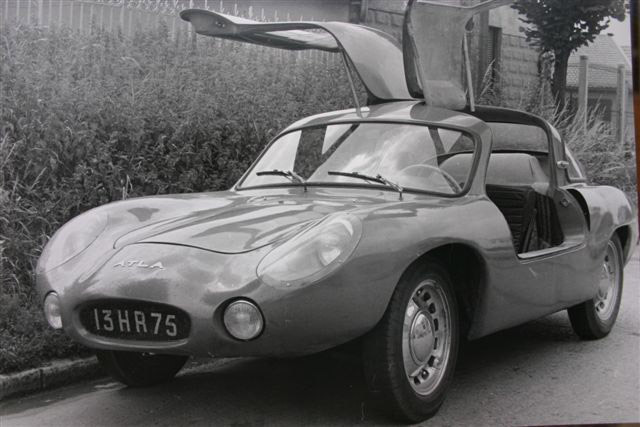 These cars were to be Renault 4CV based, with gull wing doors and tubular spaceframe designed by chassis engineer Charles Cusson. 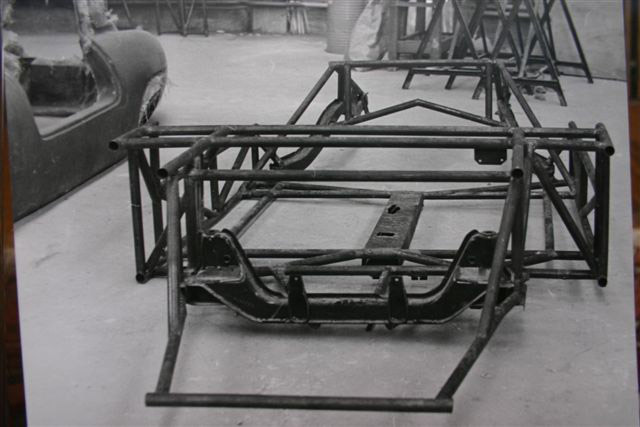 The cars were measurably lighter than the already light 4CV, and with ‘factory’ tuned engines, were also quicker. 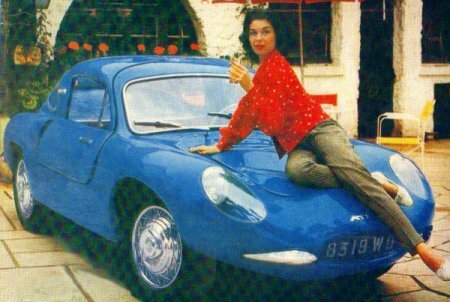 In addition to these a few cars were built with twin-cylinder Dyna Panhard motors for those who did not enjoy rear engine vehicles with swing axles! 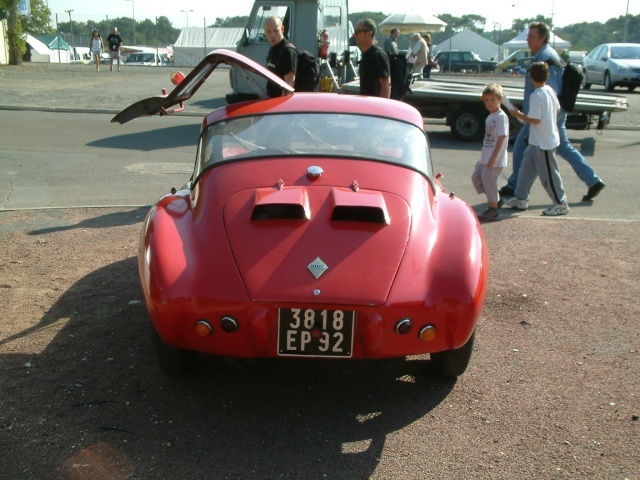 The Atla was the car that first put Durant on the map; he went on from there to design and build a wide range of cars including a fwd sportscar using rear engine R8 drive-train up front, much like the early Citroens, and the famous (in France) Jidé range. 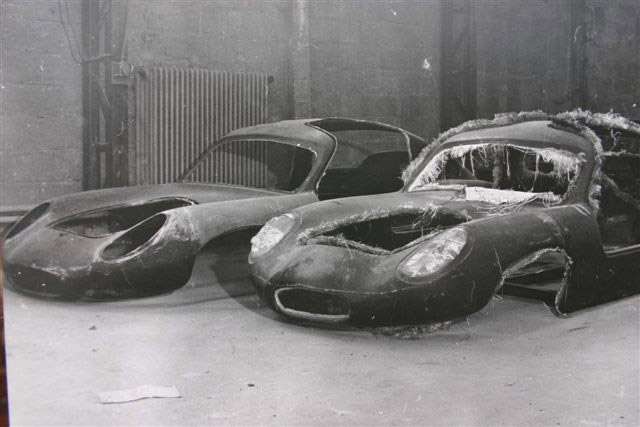 Today, only four of these cars are known to have survived – all Renault models. Please see link above for full article.